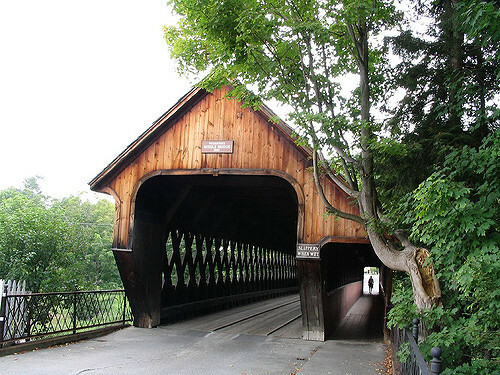 Whether you're interested in calling Southern Vermont your home, find the bustle of community activity in New Hampshire's Upper Valley appealing, or are drawn to the picturesque seacoast of New Hampshire, New England has a town for you. Read more about each of the areas we call home below, and contact us today to discover why generation after generation are drawn to these unique regions. Southern Vermont, comprised of towns such as Norwich, Fairlee, Pomfret, Barnard, Hartford, Thetford, Bradford, Hartland and Woodstock, offers visitors and residents alike a perfect blend of charming New England towns, exciting attractions, abundant recreation opportunities, and modern amenities, all while preserving both the beautiful landscape and rich history that have attracted people to the area for centuries. Quechee, Vermont is a small, picturesque village in the Town of Hartford. 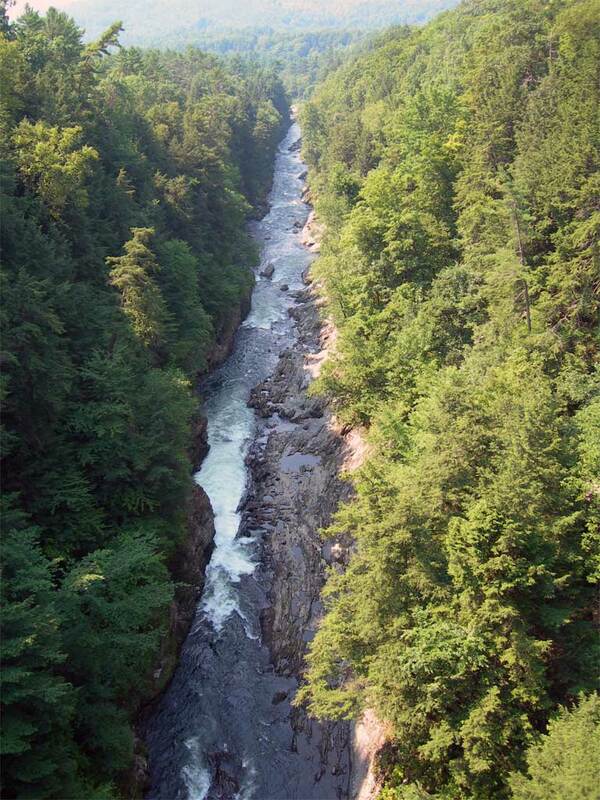 Best known for the Quechee Gorge, known as the "Grand Canyon of the East", and Quechee Gorge Village, a popular shopping area nearby, Quechee is both a popular Vermont vacation destination and also a wonderful place to live. The scenic countryside, superb fine dining, and history of Quechee, VT give it an abundance of charm and convenience. In Quechee, you'll find the Quechee Club and Quechee Lakes, a four season community. Like many New England towns, Quechee was once a thriving mill town and today, the Ottauquechee River that provided the town's early economic boost, serves as a reminder of times past. Escape to Quechee for one of its annual events, such as the Quechee Balloon Festival, or simply to marvel at mother nature - with only 656 residents, Quechee is one of Southern's Vermont's most visited, and yet most unchanged, towns. Learn more about Quechee. Woodstock is one of New England’s premier four season vacation destinations and is a wonderful community in which to work, live and raise a family. Woodstock is one of Vermont's storied towns, rich in history that can be visible as you drive through, from the meticulously preserved historic homes and buildings, to the Village Green and traditionally festivities that are held there, particularly around Christmas. Woodstock, VT boasts five Paul Revere bells, an 1855 Courthouse, the historic Woodstock Inn and Resort, Marsh-Billings-Rockefeller National Park, the Billings Farm and Museum, and the Norman Williams Public Library (a Carnegie library). The town is a close knit community of both born-and-raised Vermonters and non-native Vermonters escaping city life. Its thriving downtown and great accessibility to Vermont’s major highways allows you to feel worlds away, without actually being worlds away. Woodstock, Vermont is also home to eighty non-profit organizations, a very good school system, and several local businesses, including exceptional restaurants and a wonderful general store. It's known as one of the best places to retire in New England and is also a wonderful place to build a home. Learn more about Woodstock. Norwich is one of Vermont's most charming towns, with great schools, quaint landmarks like the general store, friendly residents, and an exceptionally beautiful landscape. Many people live in Norwich, VT and commute to Dartmouth College in Hanover, NH, providing the best of both worlds in terms of good employment, larger city amenities, and the serenity of small town living. To search for Southern Vermont real estate or find properties by town, click here. New Hampshire is often equated to Vermont (and visa versa), when in reality, each state is quite distinct. Yes, both share unrivaled natural beauty, charming towns, and proud residents; however, New Hampshire is the larger, more rugged and at times, more private of the two states. New Hampshire's distinct regions are bordered by natural landmarks and several highways, including I-89 and I-93. While each region is unique, you would be hard pressed to find one as diverse as New Hampshire's Upper Valley, including the towns of Lebanon, NH, West Lebanon, NH, Hanover, NH, Canaan, NH, Enfield, NH, Grantham, NH, Plainfield, NH and more. Hanover, New Hampshire is located on the western side of New Hampshire in the scenic Upper Connecticut Valley, also known as the Upper Valley, of New Hampshire. 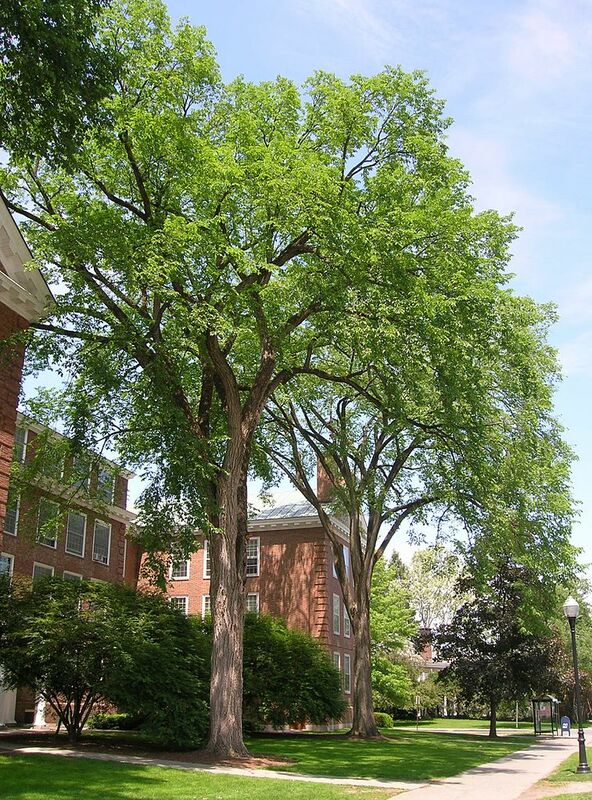 Hanover borders Lebanon, and both towns combine to provide all of the charm of small town New England, bolstered by Dartmouth College, with the amenities of a larger city, including plentiful shopping, dining, nightlife, recreational, and cultural activity. New Hampshire's Lake Sunapee Region is known for its four seasons of entertainment, including art, culture, recreation, shopping, dining and so much more. From Lake Sunapee kayaking to hiking the many trails nearby (Mt. Sunapee, Newbury, The Webb Forest Trails and more), Sunapee, NH, Newbury, NH and the entire Lake Sunapee region offers something for everyone. Fall in love with a lakeside cottage or seek a mountainside cabin, retire close to the museums and galleries, or choose Sunapee to raise your family - regardless of how you got here, once you arrive, you won't want to leave. To search for Upper Valley New Hampshire real estate or find properties by town, click here. Portsmouth, New Hampshire is the jewel of the New Hampshire seacoast. 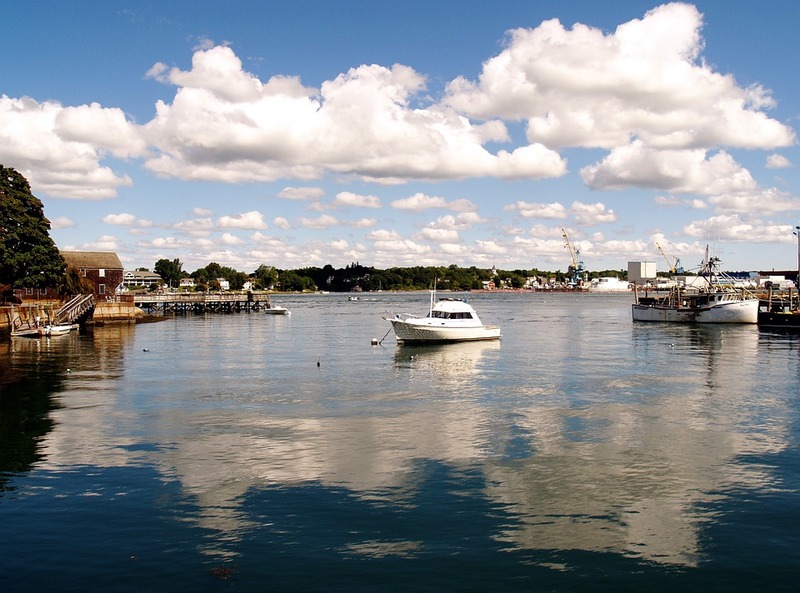 Nestled between Southern Maine and Massachusetts' North Shore, Portsmouth is a historic city with a lot to offer young professionals, families, retirees and more. An important seaport throughout our country's history, Portsmouth is a popular summer destination and year-round place to live, boasting eco-municipality status, a thriving theater, music and art scene, colleges including Granite State College and Franklin Pierce University, easy access to cities like Boston, MA and Portland, ME, and much more. Learn more about Portsmouth. To search for Portsmouth, NH or New Hampshire seacoast real estate, click here.